Decades ago it used to be a bustling city, the Capitol of Illusion, but now only the shadow of its former glory remains. The golden age ended the day Dahlgaard the Magnificent, the city's selfless benefactor and the greatest illusionist in history mysteriously vanished at the finale of his ultimate performance decades ago. No word was heard of him ever since. 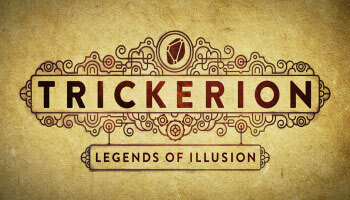 One night, four talented illusionists, masters of different fields of magic, received a mysterious invitation. The great Dahlgaard himself, returning from the unknown, called for them to reveal the secret he had kept for a lifetime: the truth about the Trickerion Stone, his shining amber relic. Despite what many believed, it was much more than merely his lucky charm. He revealed that the stone bestows supernatural intellect, speed and perception to its owner - the qualities of the perfect illusionist. Dahlgaard's secret was only a part of his grand design: after his death, he wants Magoria to flourish again as the City of Illusion, under the guidance of a worthy successor, who will inherit the Stone and his whole legacy. 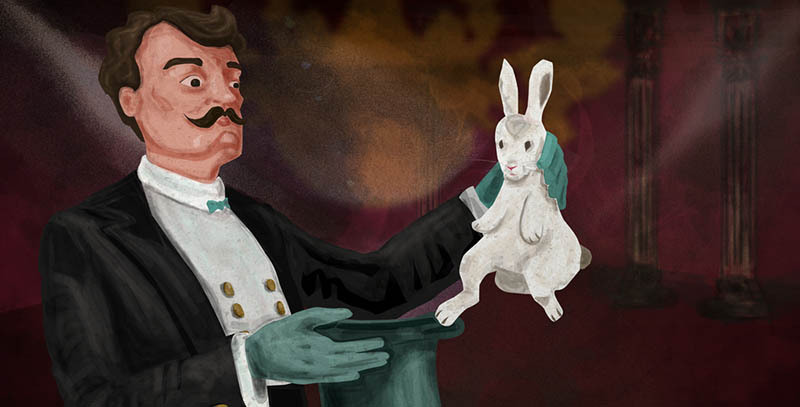 This successor is to be chosen from the four illusionists in a five-week contest for fame and fortune. Using worker placement and simultaneous action selection mechanisms, the Illusionists and their teams of helpers - the Engineer, the Assistant, the Manager, and a handful of Apprentices - obtain blueprints and components for increasingly complex magic tricks, expand the team and set up performances by visiting the Downtown, Dark Alley, Market Row and Theater locations on the main game board depicting a late 19th century cityscape. 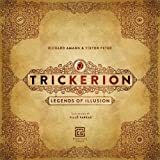 In Trickerion - Legends of Illusion, players take on the role of famous stage illusionists in the mystical city of Magoria. 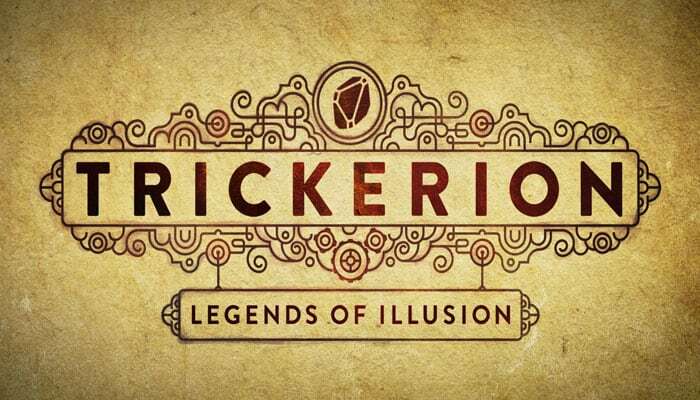 Their goal is to acquire the most Fame over the course of five weeks, thus winning a grand competition for the mighty Trickerion Stone. Players will be able to learn more and more breathtaking Magic Tricks, acquire Components for them, and extend their team to be able to take more Actions each turn. Below is a quick outline of the game's components. This section can always be referenced later, but the rules here are only a summary - details can be found in the Game Phases chapter. Game elements and concepts that are not part of the base game are always highlighted with this color. Players can use the Downtown to add new Tricks to their repertoire by visiting the great Dahlgaard in his Residence, expand their team by hiring Characters from the Inn, or obtain additional Coins when needed from the Bank. The player chooses a Trick from the Dahlgaard Residence, puts it on an empty Trick slot in his or her Workshop, and places an unused Symbol Marker on it. This expansion introduces a new element to the game: Magician Powers. 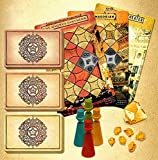 These offer a powerful new way to customize your Magician and add further strategic depth to your game.The Magician Powers variant can only be played together with the Dark Alley variant. Once per turn, one of your Apprentices receives an additional Action Point when placed at any Location except for the Theater. For 1 Dark Alley Action Point, you may discard the Active Prophecy, then replace it with a Pending Prophecy and draw a new one in its place.